VoIP Phone systems in Colorado - Telecom Solutions Inc.
What’s good about VoIP phone systems in Colorado and what you need to know. In this article we will point out two things that make VoIP Phone Systems popular and necessary. 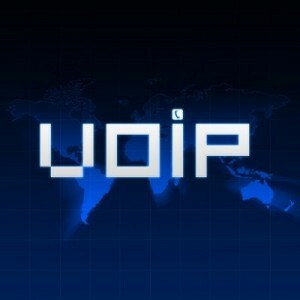 Then we will explore what are the Five most important items to consider when choosing a VoIP system. For those of us who are constantly on the go! VoIP phone systems have become synonymous with business communication and continuity. For on the go business executives, sales or service people, being easily reached whether on the job or not is critical to your success. 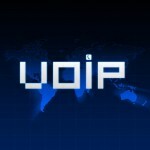 Today VoIP like no other telecommunication service in the past will allow you to stay mobile yet available. Living in Colorado allows to you spend as much time out of the office as in. So Mobility Apps like Soft-phones will allow you stay connected on a business level and not use your cell phone number. Today many people want to be accessible but more than ever want to keep personal, personal, and business, business. For example call that customer back from your smart phone but make that call showing your business number and caller ID info. Only share your business number but be reachable anywhere when you take your mobile device. Working from home or the road has never been easier. Even if your overseas. Mobile apps allow you to get your business Voice Mails and Emails all on one place. No more calling into the office to retrieve voice mails. Good Mobile apps allow you to pull your contact information from your mobile device into you Soft-phone app for making those calls easier to access. VoIP makes good Money cents. With the cost of traditional phone services like analog lines still cost in the 50 dollar range and slow T-1 services in the 300 dollar range, spending a substantial amount of money on Old school technology makes less sense still. Today you can get really fast Internet speeds for a fraction of that cost and add VoIP for half that of analog lines in most cases. Long distance charges are almost a thing of the past. cabling infrastructure and IT resources can be reduced as well by sharing network resources like cabling and Ethernet switches. How much is a reasonable amount to cut costs when upgrading that old technology? You should see at least a 15% but maybe even upwards of 60% savings! That goes right to the bottom line! Both are feature and function rich. Premised based VoIP solutions are usually capital intensive unless you are looking at a Lease or rental option. Be sure the system performs and functions like you have been promised. Not all VoIP systems or services are created equal. Sometime ghosts and goblins show up in VoIP installs. Unfortunately Ghostbusters cannot help! Make sure that your VoIP company or vendor has the expertise to service what they sell. Are they easy to get in touch with and how quick will they get to you. National companies are the least likely to be accessible and timely in response. Go local! Cost is always important right? Low price is important but not if it comes at the cost of lost service, unhappy employees or customers because it rarely works or just does not work well. VoIP phone systems should be about making communicating easier and less costly! This entry was posted in Telephone Systems, VoIP on August 3, 2016 by Telecom Solutions Inc,.